But the most renown feature is the crooked spire of the church of St. Mary and all Saints. The spire is twisted by 45° and is leaning almost three meters (10 feet) out of the centre. Legend has it that the devil has hit the spire. A more mundane explanation is the use of unseasoned timber, which twisted during drying. 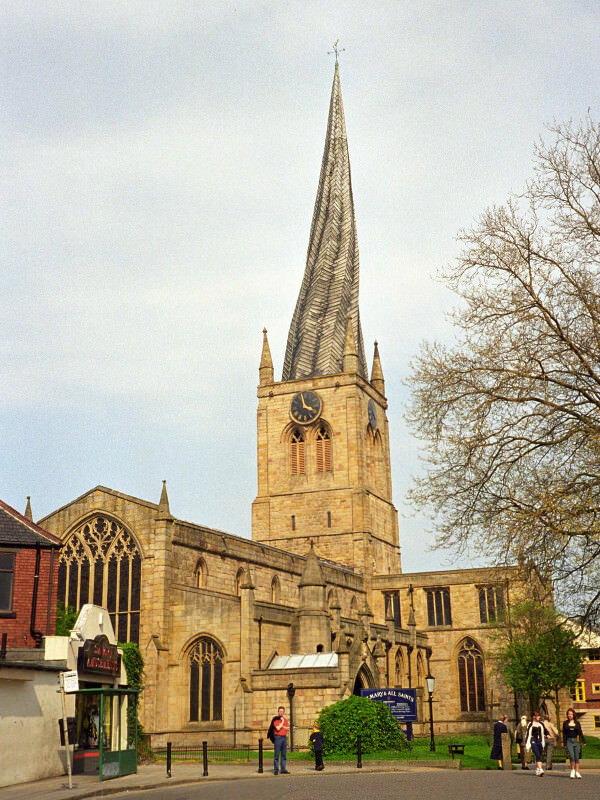 Whatever the reason, today the spire is the landmark of the town. Its shape is used as a logo by a lot of local enterprises, and even the borough of Chesterfield does so.